This healthy chicken noodle soup recipe is the perfect meal for warming up a winter. The addition of turmeric makes it great for cold and flu season. Thyme contains vitamin C and may help bacterial and fungal infections, and sage and turmeric are both excellent anti-inflammatory agents for the body. Cilantro can help rid the body of harmful toxins and help destroy stressors to the immune system. Did you know that chicken soup was used in ancient times as a cold remedy? Some doctors believe it may help clear congestion and hydrate the body. 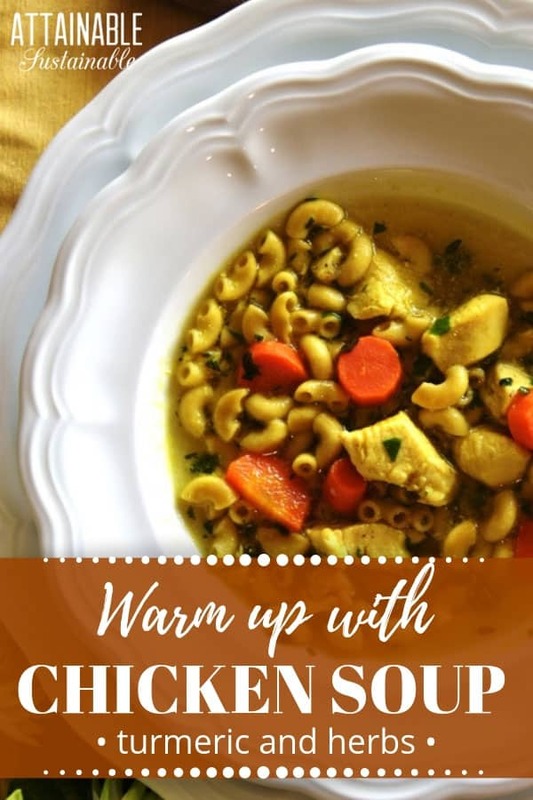 Whether your body is fighting off an infection or you are just looking for a warm, soothing meal this winter, this flavorful recipe for chicken noodle soup is so delicious and satisfying, it’s bound to do the trick! The addition of turmeric gives this soup a rich golden color, but turmeric is good for you, too! Whether you grow your own turmeric as we do, or rely on a quality source for purchasing turmeric powder, it’s a great addition to soups and stews. ★ Did you make this healthy chicken noodle soup recipe? Don’t forget to give it a star rating below! In a large pot or Dutch oven, heat the oil over medium high heat. Once hot, add the green onion and stir until fragrant, about one minute. Add the garlic and stir continuously for 30 seconds to prevent burning. Stir in carrots and sauté for 3-4 minutes. Add the chicken, salt, pepper, thyme, sage, and turmeric. Brown the chicken for 8-10 minutes or until mostly white (not pink) on the outside. Pour in the stock and bring to a boil. Add the macaroni and simmer for 6-7 minutes or until the carrots are softened, the pasta is al dente, and the chicken is fully cooked and no longer pink in the middle. Add the cilantro and stir. Taste and adjust seasonings if needed. Serve! 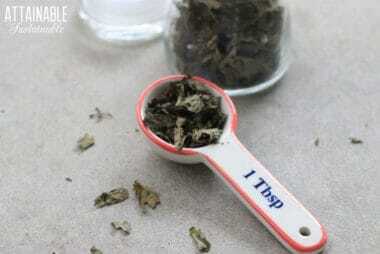 To preserve fresh herbs, fill a single well (or more if needed) of an ice cube tray about half full with finely chopped herbs, then top off with water and freeze. Once solid, pop out the cubes, place in an airtight freezer bag, and freeze. 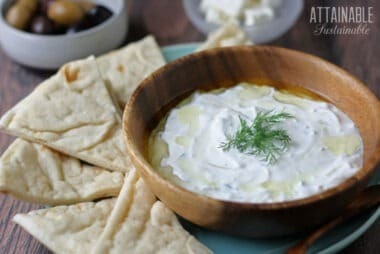 In What a Good Eater!, Amy and Alessandra have compiled a large collection of flavorful recipes that the entire family — including the kids — will love. All of these recipes are simple to pull together and most use fresh ingredients, herbs, and spices. A few shakes of cayenne make this complete. Among it’s many virtues, cayenne pepper’s antioxidents and beta carotene support the immune system.